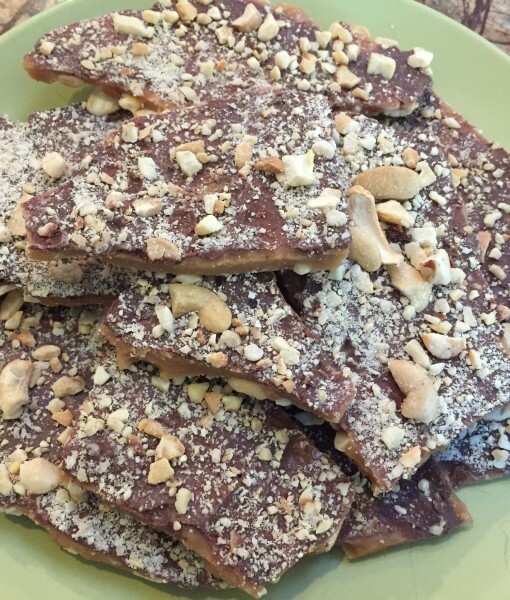 Our Toffee with Milk Chocolate and Cashews has become a customer favorite! 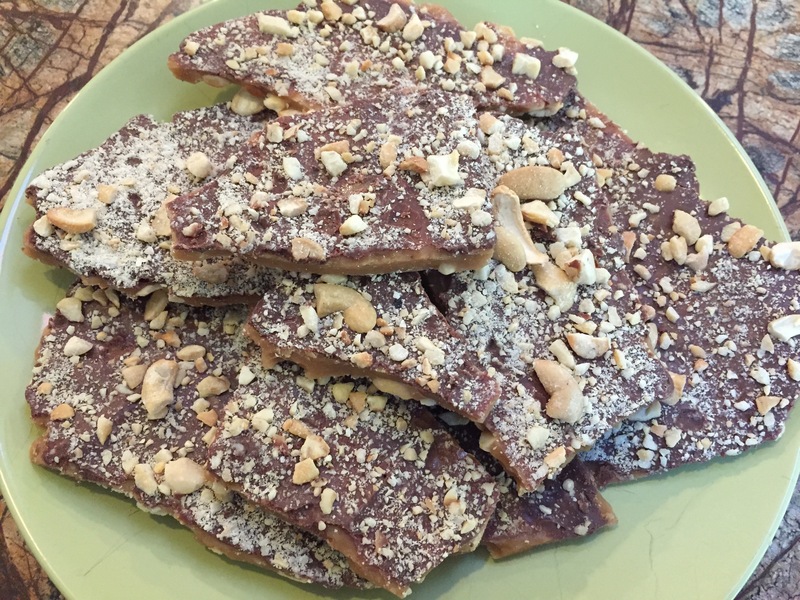 Suggested by my oh-so-special brother-in-law Stu, this combination includes our rich, buttery toffee, topped with a layer of creamy milk chocolate, and a generous dusting of roasted cashews. 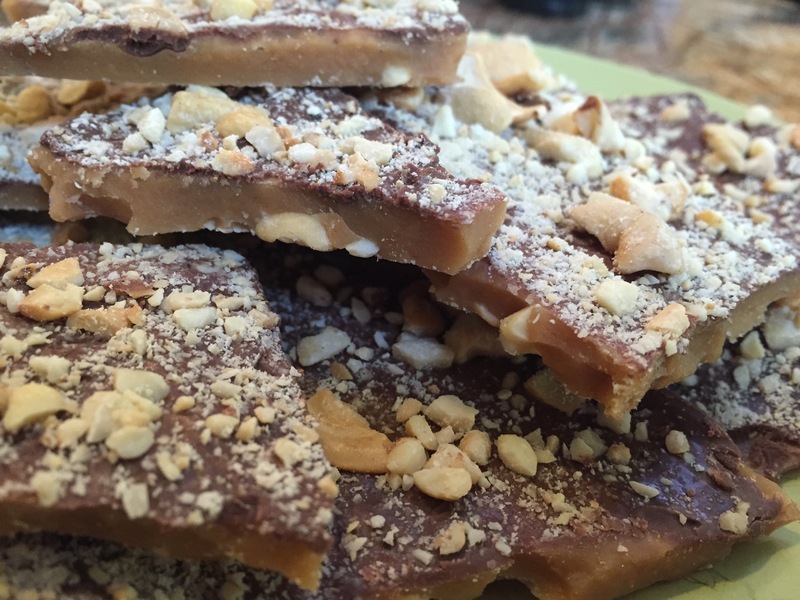 Once you try this you will be coming back for more!